This makes a change from all those promotional guitars for various brands of weak beer. 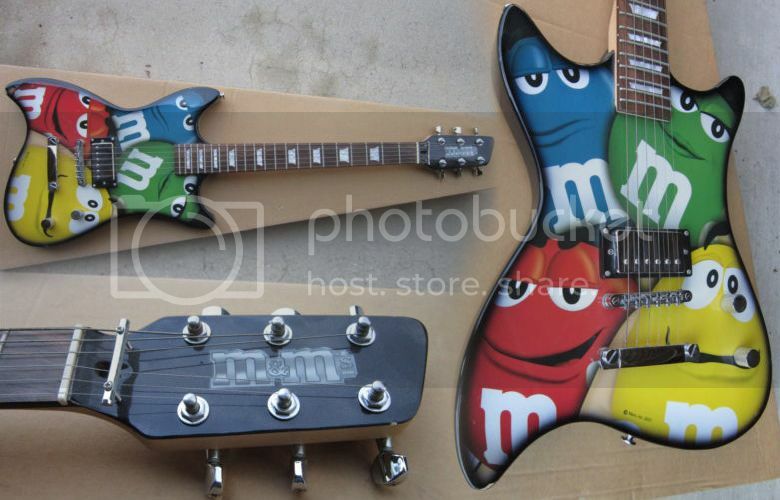 It's an M&Ms guitar featuring a graphic of the chocolate and sugar-coated peanut characters from the M&M advertisements. It's quite a basic guitar with just one pickup and volume and tone controls, but the shape is actually quite pleasing to the eye, and I could well imagine this being used in some young punk band.